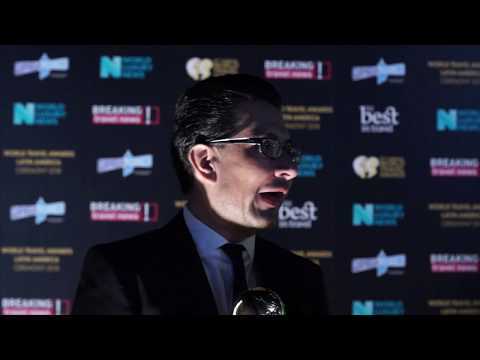 Aeromexico airport manager, Rodrigo Barros, speaks to Breaking Travel News as the carrier picks up trophies for Mexico & Central America’s Leading Airline and Mexico & Central America’s Leading Airline Brand at the World Travel Awards Latin America Ceremony. 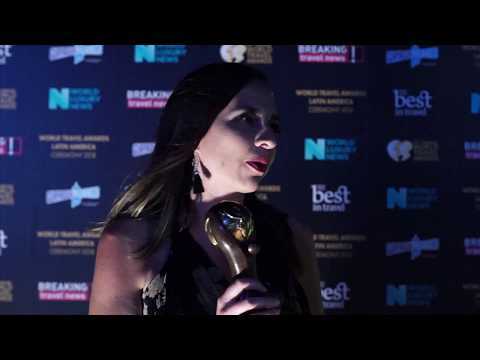 Ana Maria Cajiao, commercial manager for Aeromexico in Ecuador, speaks to Breaking Travel News as the carrier takes the titles of Mexico & Central America’s Leading Airline Brand and Mexico & Central America’s Leading Airline at the World Travel Awards Latin America Ceremony. Aeromexico has announced the start of a seasonal twice a week non-stop flight to Belize. The service will start on November 17th and run until the end of April next year. Aeromexico and Jet Airways have launched a codeshare partnership, with tickets going on sale. The carriers hope the deal will allow passengers to travel to and from both countries by connecting via London to Mexico City, Delhi or Mumbai, as of May. Boeing is expanding its commercial services capability in Latin America with two new customer orders. These announcements demonstrate the tremendous potential for services growth in this rapidly expanding region, the manufacturer said. Boeing and Aeroméxico have celebrated the delivery of the first of up to 90 737 MAX airplanes. Mexico’s global airline plans to use the more fuel-efficient and longer-range MAX jets to expand its network across the Americas. Aeromexico and Japan Airlines have agreed to launch a codeshare partnership in Japan’s fiscal year 2018, that combines the synergies of both airlines. It is hoped the alliance will provide a wider connectivity between Mexico and Japan.